Escada can be relied upon for timeless pieces crafted from premium fabric and this Dlevissa is a perfect example of this craftsmanship. 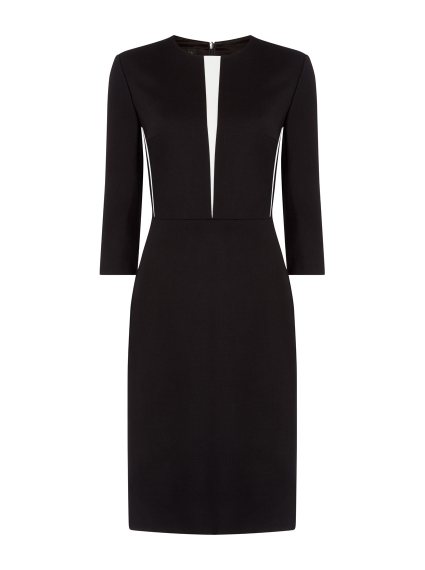 A contrast front panel adds a dynamic touch to this polished sheath dress. Cut from Italian wool with a little stretch for all-day comfort.